Fourth Element has forged a reputation for their environmentally conscious products that combine sustainable materials with cutting-edge performance.  DeeperBlue.com was able to learn about the newest addition to the company’s extensive “oceanpositive” line-up at DEMA Show. Fourth Element Director Jim Standing introduced us to the revolutionary Surface wetsuit line. Manufactured from Yulex®Pure, which is a 100% plant-based neoprene extracted from dandelion roots, the Surface is also lined with a polyester material made from recycled plastic waste. Designed for a maximum blend of comfort and durability, the seams have been bonded with a water-based glue and are blind-stitched. 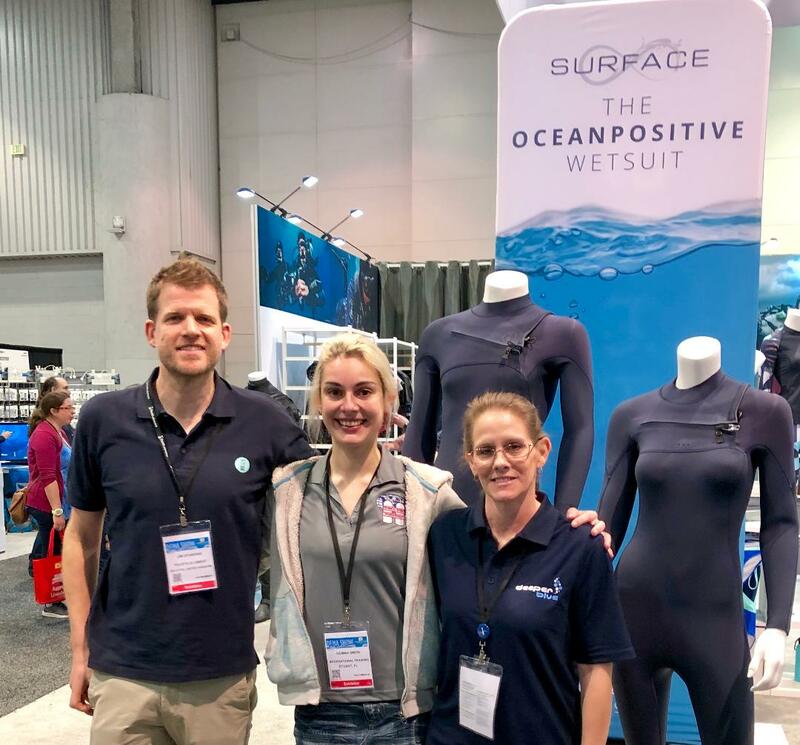 Jim Standing, Gemma Smith and Michelle Griffith with the new Surface wetsuits. Designed without a back zipper, the Surface has a highly stretchable upper section offering comfortable donning and a stylish and unique mini-zip at the collar to minimize flushing, while offering great freedom of movement and comfort. 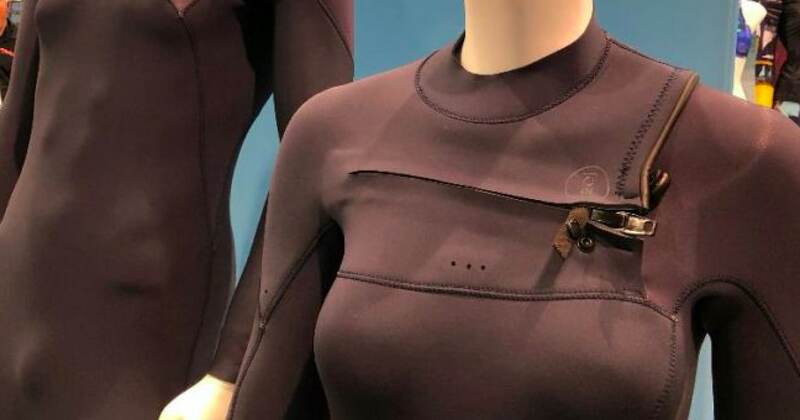 The sleek, polyester lining aids in donning the Surface, and is made from recycled materials like ghost fishing nets and carpet fibers, and the tasteful and minimal branding uses an oceanpositive, water-based ink designed to have minimal impact on the ocean. Surface wetsuits are designed for great flexibility and comfort. 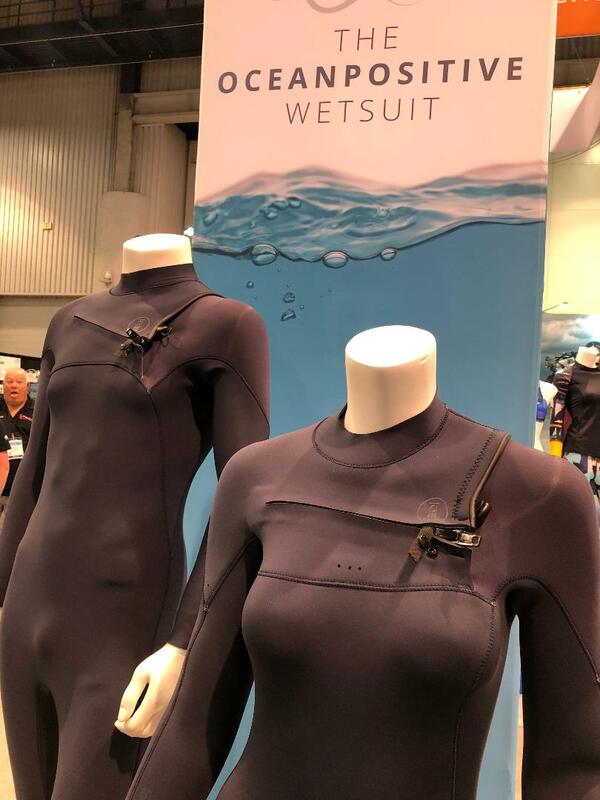 The Surface has 4mm of coverage for the core and 3mm at the legs, making this flexible suit ideal for surface sports such as surfing, kayaking and stand-up paddle-boarding, while also great for snorkeling and shallow freediving. The Surface retail pricing has yet to be determined, but will be posted to their website very soon! 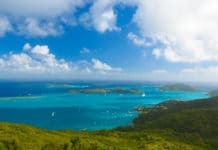 For more information on the Surface wetsuit and the oceanpositive initiative, visit fourthelement.com. Fourth Element also recognizes that the watersport day isn’t always over once you leave the water. 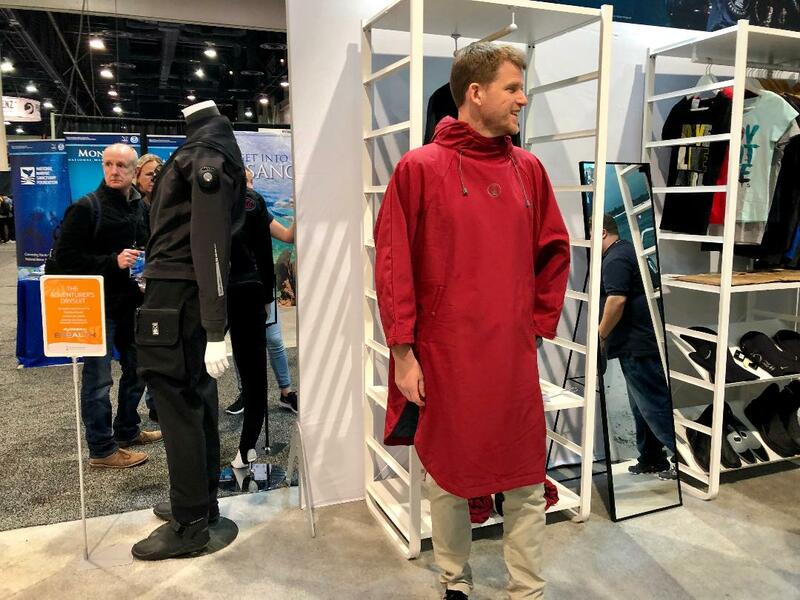 Their innovative and very stylish Storm all-weather poncho continues their oceanpositive line with a warm, fast-drying, fleece-lined garment that comes equipped with lined pockets for warmth and an integrated storm hood for extra protection from the elements. Using fabrics that are environmentally-friendly processed and fleece made from 37% recycled materials, the Storm is as eco-friendly as it is stylish and warm. At a retail price of US$199 (175 Euros), this is a must-have for every water-sport enthusiast. Both of these offerings are part of Fourth Element’s Mission 2020 initiative. Mission 2020 is a statement of Fourth Element’s intention to eliminate the use of single-use plastic in the packaging of all its products by 2020 and to continue to develop new products (and re-develop its existing products) using recycled materials wherever possible. 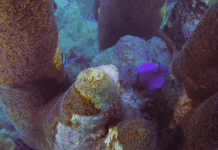 Fourth Element has invited the dive industry to join them in this pledge with a rapidly-growing number of manufacturers joining this awesome campaign for change. For more information, please visit www.mission2020.org.